Hey there, welcome to the March Neat and Tangled release. 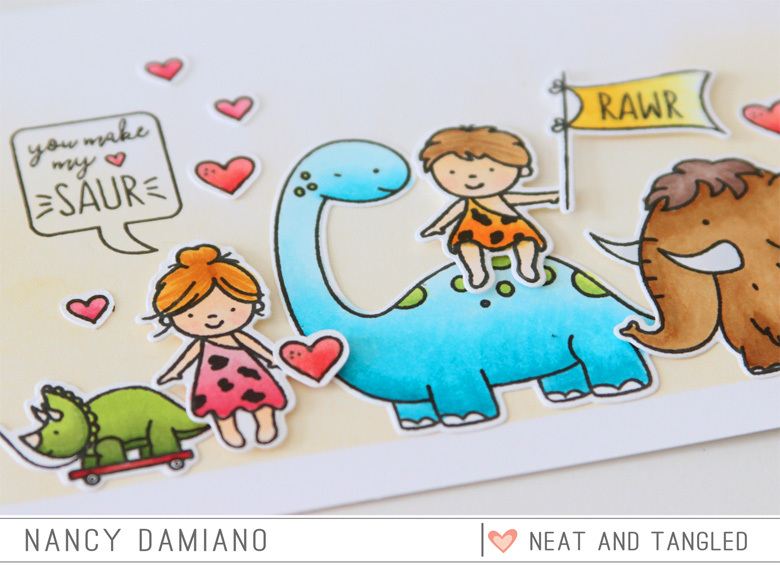 The next stamp set up is Prehistoric Pals. I love these cute little dinos and cave people. 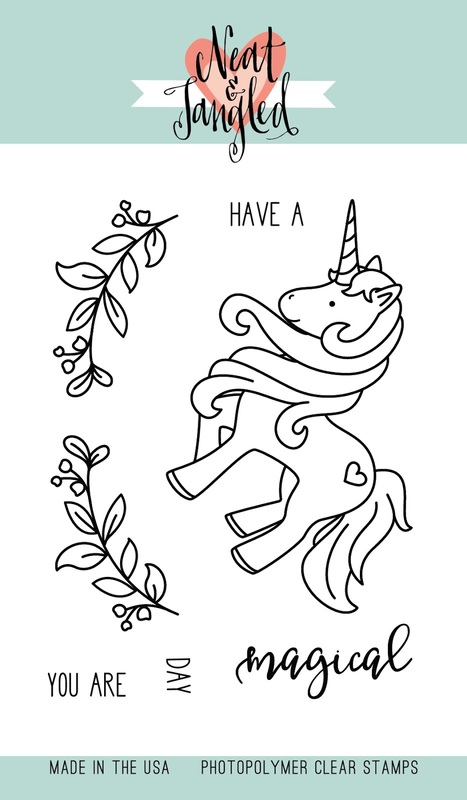 This is going to be a fun one to color! To create this card I used Distress Ink in Antique to create a pretty background out of white cardstock. I blended the ink to create a glow just beneath the scene. 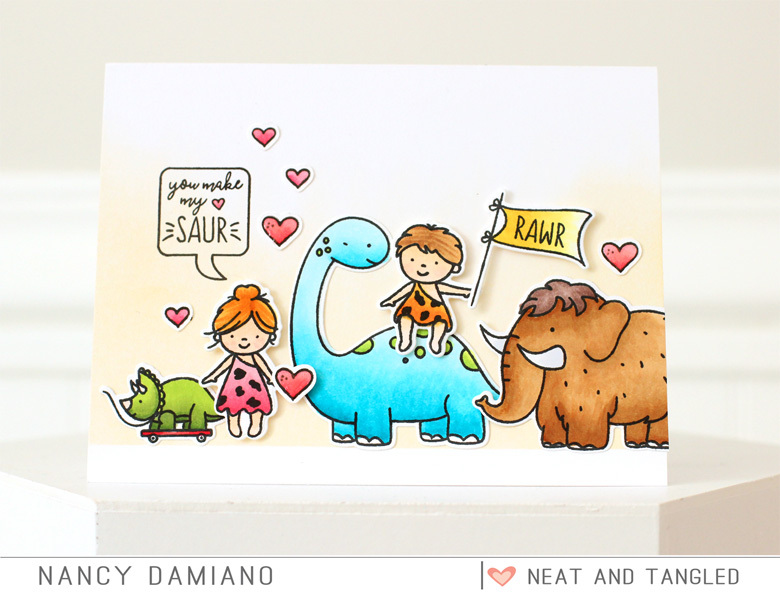 I colored in the images with Copics and scattered little red hearts all over the card. This added just a bit of love and whimsy to the design. Neat and Tangled will be giving away a Prehistoric Pals stamp set. To enter, leave a comment below to be entered. Tell me what's your favorite coloring medium. 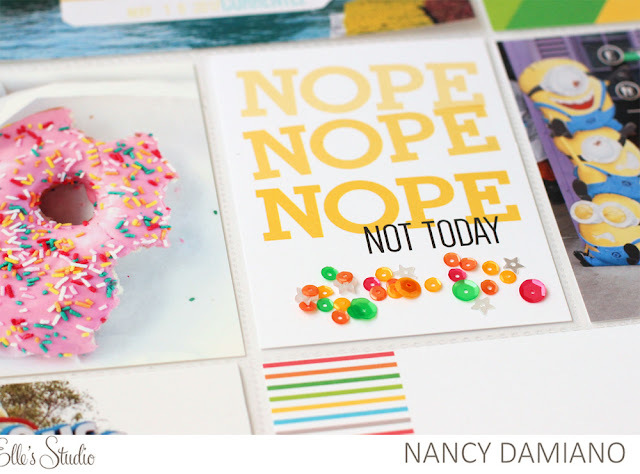 Visit the Neat and Tangled blog on Friday for a list of winners. Good luck and thanks for stopping by! Let's talk about vertical designs - the ones that area clean and angular with lots of space for decorating and telling stories. I chose this type of design because I'm in love with this alphabet from the Caroline kit. The font, the color, the size - it's absolute perfection. What better way to show it off than to bring it center stage! Begin by dividing the page straight down the middle with a bold title. Then start working in vertical lines to the left and right sides of that midpoint. Make sure that your photos and patterns are evenly distributed. You don't want too much weight on one side - it makes for lopsided designs! For example, if you place a photo at the lower right, balance it with another photo on the upper left like above. Mix up the widths and shapes of the stacked items in your vertical rows. This keeps the design from looking static (i.e. boring). Here is a rectangular strip of yellow patterned paper with a banner just underneath. This makes for an interesting design. These designs tend to be a bit busy so make sure that you highlight the photo since that's where we want the focus to remain. Using strips of pattern paper to block the top and bottom of this vertical photo, along with layers of flair, circle-shaped patterned paper, chipboard and a heart rubber charm allow this photo to shine. Repetition of shape (and contrasting ones) is really important when creating vertical layouts. Here, the two circles at the bottom right (in the flair and patterned paper shape) and mimicked in this frame. This creates symmetry as well. I love how it highlights this smaller photo as well. Vertical designs are a fun graphic look to experiment with. The Caroline kit with it's beautiful colors and embellishments is the perfect fit for this type of design! Hey there, welcome to the March Neat and Tangled release. The next stamp set up is Art Deco. I love this clean, modern design and especially that it includes so many different sentiments. This is definitely a versatile one! 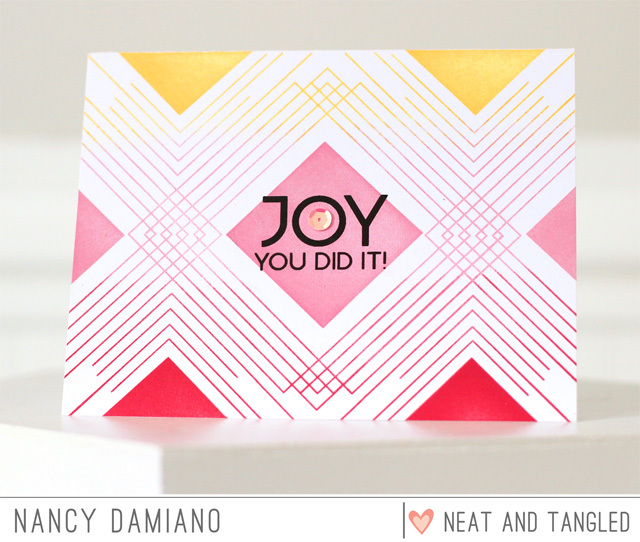 To create this card I used the Neat and Tangled Art Deco stamp set to create a pretty background out of white cardstock. 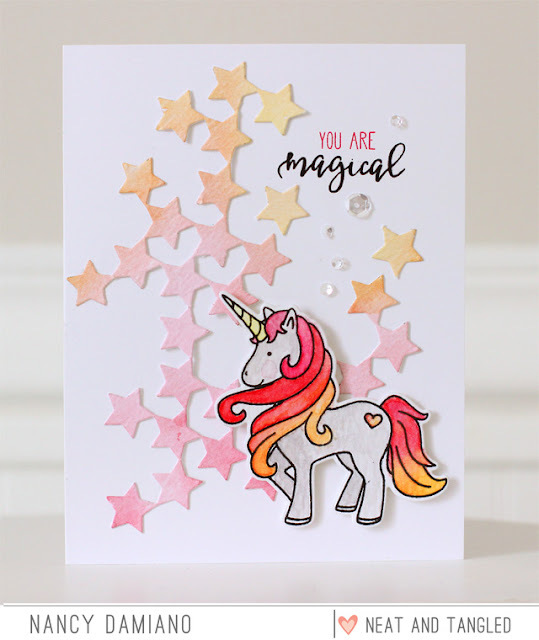 I used pigment inks in coral, sunshine and raspberry to create a nontraditional ombre effect. A few sprinkle of clear sequins and a sentiment finish off this modern card with a twist. Neat and Tangled will be giving away an Art Deco stamp set. To enter, leave a comment below to be entered. Tell me what's your favorite coloring medium. 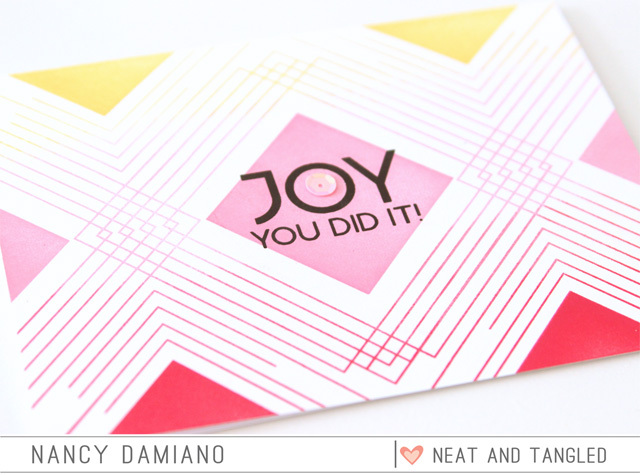 Visit the Neat and Tangled blog on Friday for a list of winners. Good luck and thanks for stopping by! Hey there, welcome to the March Neat and Tangled release. The first stamp set up is the Magical Stamp set featuring a unicorn which I love. Who doesn't love a magical flying creature? 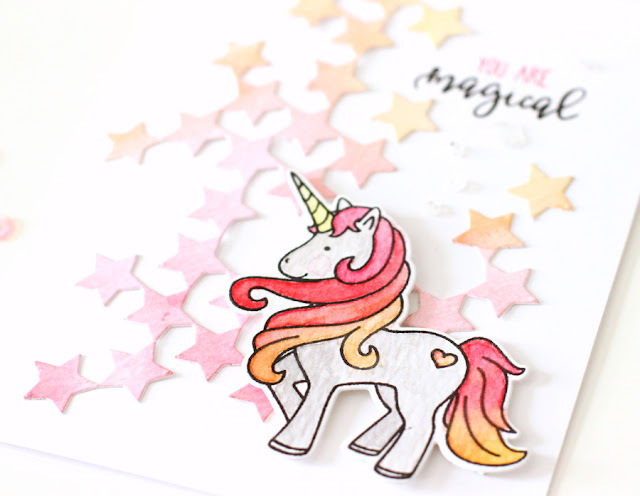 To create this card I used the Neat and Tangled Seeing Stars steel die to create a pretty background out of white cardstock. I then used a splash of Gansai Kuretake watercolors to add shades of orange, pink and yellow to the stars. 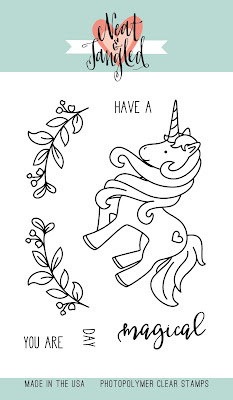 I used the same color palette to color in the unicorn. I love the range of orange-reds to yellow and the bold impact it gives the card. I love color! A few sprinkle of clear sequins and a sentiment finish off this magical card. 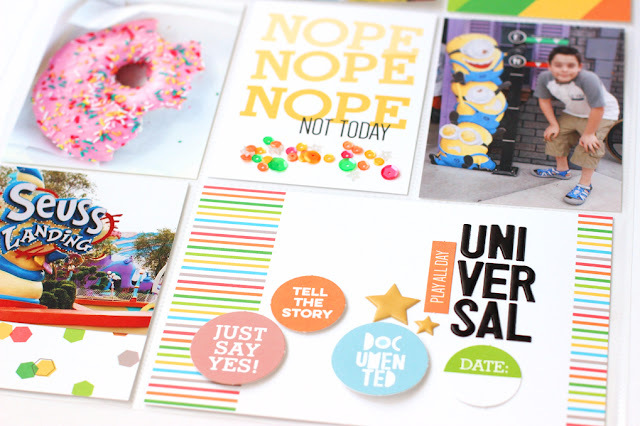 Neat and Tangled will be giving away a Magical stamp set. To enter, leave a comment below to be entered. Tell me what's your favorite coloring medium. Visit the Neat and Tangled blog on Friday for a list of winners. Good luck!